I love grand pianos but I’m also very fond of upright pianos, having started playing one from the age of 4. Yamaha continues to introduce quality upright pianos with the introduction of three new models: the M460, M560, and P660. The new Upright Line includes changes to the company’s Gallery Collection, Professional Gallery Collection and Professional Collection. These models are produced in Yamaha’s Taiwan factory, which has a significant history in the company’s expansion in the piano industry. Taiwan Yamaha was the first Yamaha piano factory outside of Japan and has been producing upright pianos since 1969. Its highly skilled and experienced labor force uses advanced Yamaha-designed machinery and adheres to the Company’s superior quality control standards. It boasts extensive experience in building wood grain, designer cabinets for markets around the globe. 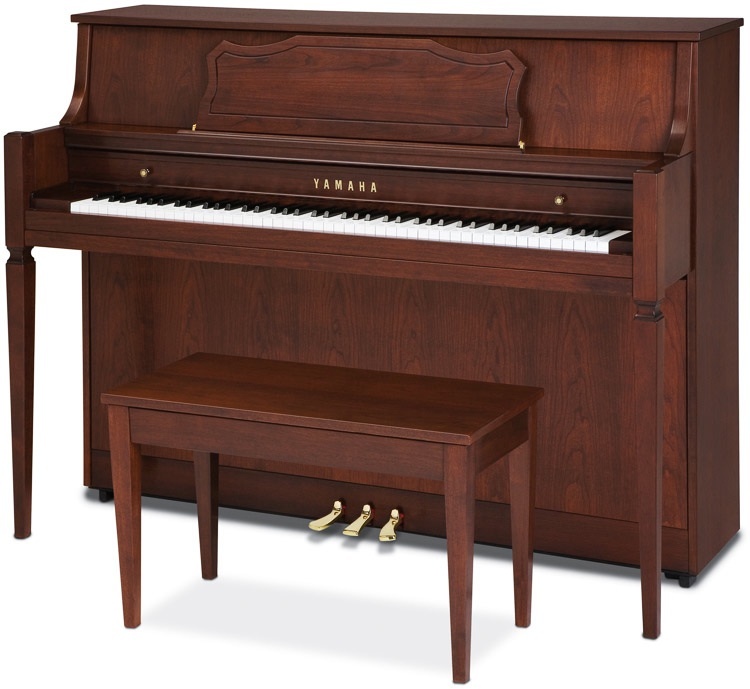 Yamaha’s highly-popular Professional Collection of institutional pianos features components that are virtually identical to the previous P22 model produced at Yamaha Music Manufacturing. All new Uprights feature actions, plates, hammers and tuning pins identical to previous models. All other materials (strings, soundboard, back frame, case parts and veneers) are of equal or better quality than the previous line. Additionally, all new Upright lines feature attractive, hand-rubbed polyurethane finishes that wear better than traditional lacquer finishes. These pianos are produced at Hangzhou Yamaha, near Shanghai, in northern China. Yamaha makes some of my very favorite upright pianos. They tend, in my opinion, to have superior tone and action as compared with other makes in the same price range. i like this piano pls wats the price. the price was around $5,000 at Costco a couple of years ago.